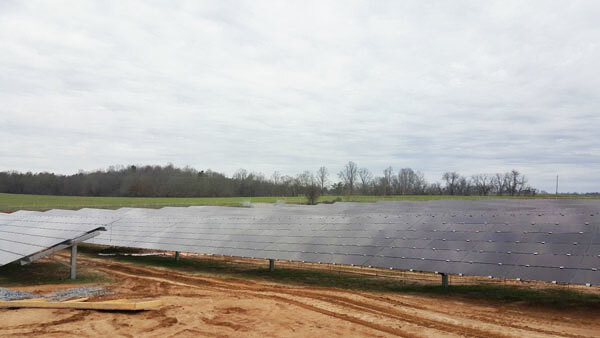 NEW YORK, NEW YORK – February 14th, 2017 – GameChange Solar announced that a 27MW MaxSpan™ pile driven system utilizing First Solar Series 4 Modules is nearing completion in North Carolina. The system utilizes over 200,000 solar modules and is being built by a leading national EPC for a large private equity backed solar developer, for whom bankable quality is a critical consideration. GameChange Solar is a leading manufacturer of fixed tilt and tracker solar racking systems, with over 1.4 GW installed. GameChange systems combine fast install, bankable quality and unbeatable value through superior engineering, innovative design and high volume manufacturing.